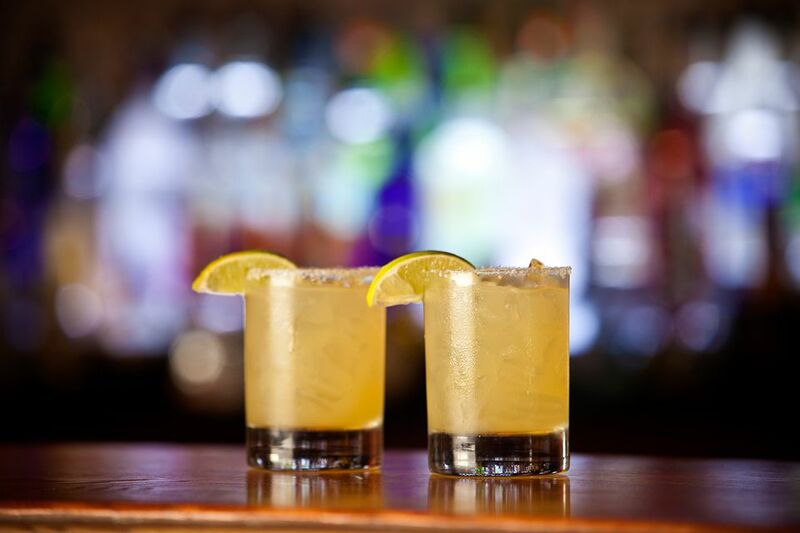 The Highland Margarita is where tequila and Drambuie meet! Appropriately, it's also called a Drambuie Margarita. This is an extraordinary margarita because of that one ingredient, which most people would not think of mixing into a sour tequila cocktail. Surprisingly, it works very well, so you'll just have to give it a try and find out for yourself! Drambuie is the scotch-based liqueur that's flavored with honey, herbs, and spices. It's most often associated with dark cocktails like the rusty nail, though it's fantastic in a bright citrus mix like this. And, you don't want to pair that with the average orange liqueur. To match Drambuie's quality, go with the cognac-based Grand Marnier or a high-end triple sec such as Cointreau or Combier. With all of these high-class additions to the average margarita, one can only expect that a cheap tequila will bring it all down. To avoid this sad predicament find a nice blanco or reposado tequila. You will thank yourself when that first sip hits your lips. If desired, rim a margarita or highball glass with salt, using a lime wedge to wet the rim. In a cocktail shaker filled with ice, pour the tequila, orange liqueur, and Drambuie. Squeeze in the juice from a whole lime. Shake and strain into the prepared glass with or without ice. Garnish with a lime wedge. If you're unsure about adding the salt rim (it's a tricky decision with this particular margarita), there's no need to make a full commitment! Rim only half the glass. This allows you to alternate sips between salt and no salt to see which you like best. This cocktail has a very delicate balance of flavors. Be sure to measure the ingredients to ensure you get a taste of it as it was intended. After that first drink, you might find that you want a little more Drambuie or less lime. Take note and make adjustments to suit your personal taste. How Strong Is a Highland Margarita? The three liquors in this margarita are each bottled at 80 proof, which would indicate that the cocktail's going to be strong. The factor that affects the recipe's actual alcohol content is the lime juice; a single lime can yield between 1/2 ounce and 1 ounce of juice. Using the larger volume, the Catalina mixes up to about 27 percent ABV (54 proof) and with less juice, it will be even stronger. This is not unusual for shaken margaritas, but it is one of the more potent options and something to keep in mind before mixing up another round. Jagermeister in a Root Beer Float? Get The Inside Scoop!